A federal grand jury in the District of Columbia returned a superseding indictment today charging Ahmed Abu Khatallah, aka Ahmed Mukatallah, with numerous additional offenses arising from his alleged participation in the Sept. 11 through 12, 2012, terrorist attacks in Benghazi, Libya, which resulted in the deaths of Ambassador J. Christopher Stevens and U.S. government personnel Sean Smith, Tyrone Woods and Glen Doherty. Khatallah, 43, a Libyan national, was initially indicted on June 26, 2014, on the charge of conspiracy to provide material support and resources to terrorists resulting in death. That charge, which is included in the superseding indictment, carries a potential life sentence. The superseding indictment includes a total of 17 new charges, including some that could be punishable by death. “We have no higher priority than bringing to justice terrorists who kill U.S. citizens serving our country on foreign soil,” said U.S. Attorney Ronald C. Machen Jr. for the District of Columbia. The superseding indictment describes Khatallah’s alleged role in the attacks at a U.S. diplomatic mission in Benghazi and a second U.S. facility there, known as the annex. 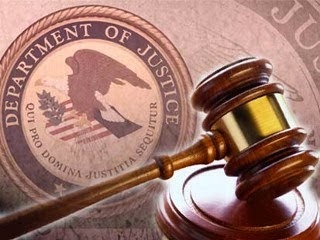 According to the superseding indictment, Khatallah was a leader of an extremist militia group and he conspired with others to attack the facilities, kill U.S. citizens, destroy buildings and other property, and plunder materials, including documents, maps and computers containing sensitive information. The offenses that could carry death sentences include one count of murder of an internationally protected person; three counts of murder of an officer and employee of the United States; four counts of killing a person in the course of an attack on a federal facility involving the use of a firearm and a dangerous weapon; and two counts of maliciously damaging and destroying U.S. property by means of fire and an explosive causing death. The seven other new charges in the superseding indictment include one count of providing material support and resources to terrorists resulting in death; three counts of attempted murder of an officer and employee of the United States; two counts of maliciously destroying and injuring dwellings and property, and placing lives in jeopardy within the special maritime and territorial jurisdiction of the United States, and attempting to do the same; and one count of using, carrying, brandishing and discharging a firearm during a crime of violence, which carries a mandatory minimum sentence of 30 years in prison. Khatallah will be arraigned on the new charges at a hearing Oct. 20, 2014, before the Honorable Christopher R. Cooper in the U.S. District Court for the District of Columbia. At an earlier hearing, he pleaded not guilty to the terrorism conspiracy charge. According to the superseding indictment, Khatallah was the commander of Ubaydah Bin Jarrah (UBJ), an Islamist extremist militia in Benghazi, which had the goal of establishing Sharia law in Libya. In approximately 2011, UBJ merged with Ansar al-Sharia (AAS), another Islamist extremist group in Libya with the same goal of establishing Sharia law in the country. Khatallah was a Benghazi-based leader of AAS. The attack at the diplomatic mission, which took place on the night of Sept. 11, 2012, led to the deaths of Ambassador Stevens and Smith, who was an Information Management Officer for the U.S. Department of State; a second State Department employee was injured in this violence. The attack at the annex took place early Sept. 12, 2012. Woods and Doherty, who were security officers working on the U.S. government’s behalf, were killed in the attack at the annex, and another security officer and a State Department employee were wounded in the violence there. In June 2014, Khatallah was taken into custody, and he initially was charged in a criminal complaint that was filed under seal on July 15, 2013, which became public on June 17, 2014. The earlier indictment became public on June 28, 2014, the date of his first court appearance. The case is being investigated by the FBI New York Field Office's Joint Terrorism Task Force with substantial assistance from various other government agencies. The case is being prosecuted by the U.S. Attorney’s Office for the District of Columbia and the Counterterrorism Section of the National Security Division.